‘THE KING OF BASS’ 2019 !! Forms is proud to present another classic to you, a bass-filled night at the Willemeen with our ‘partners in crime’ from Work Them & Sauce. 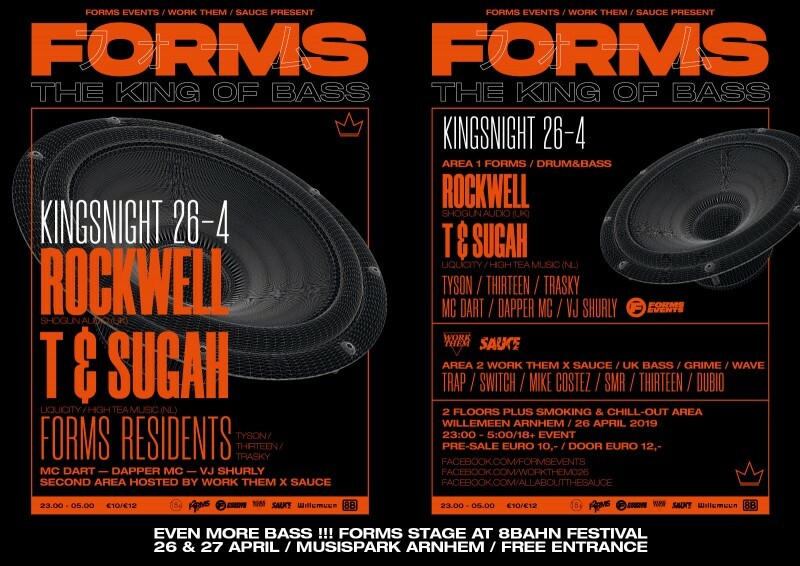 A day of serious BASS for the King of the Netherlands and even more important —> for all you crazy ravers ! !